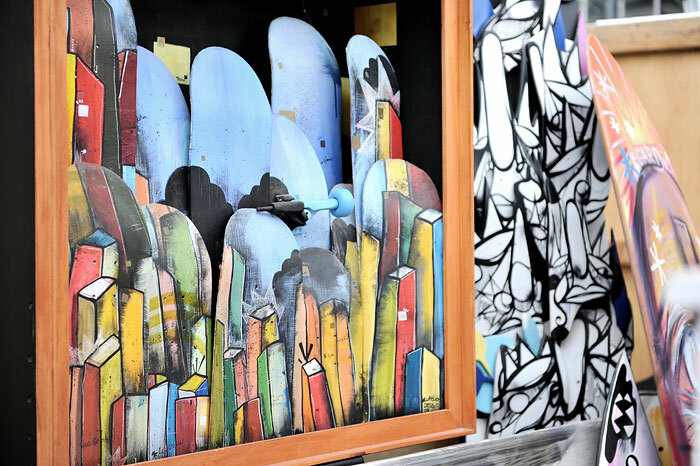 He is an artist, a painter with a big heart for board sports. 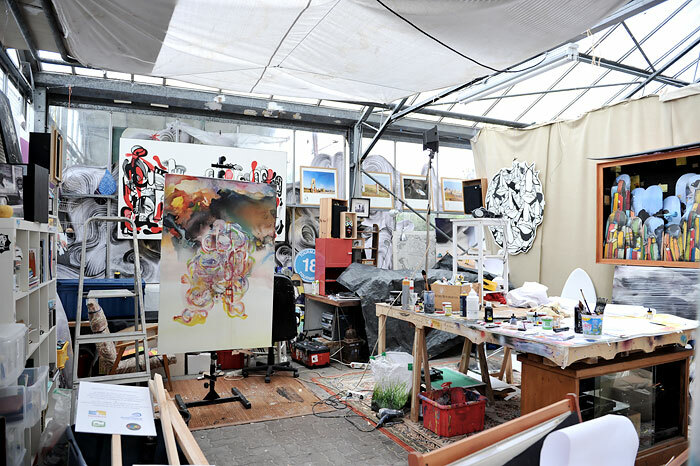 In his atelier the first impression are colorful pieces of art on the wall and stabled on the floor, spray cans of all colors, pencils in all sizes. Looking closer let’s you discover: That dude loves skate boards, surf boards and everything else you can ride on. Just a week ago he joined the Surfrider Foundation based in Biarritz to teach children the joy art can bring to the life – and the joy of an environmentally intact world. Ride on, Delwood! It was nice to meet you! check out Delwood’s Blog for more art.